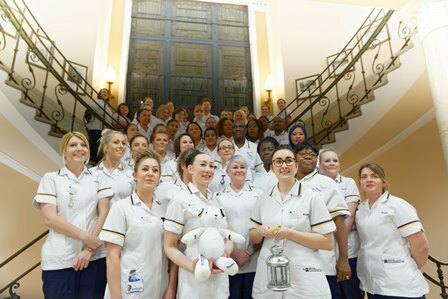 Student nurses celebrated the end of their studies at the University of Wolverhampton with a special lamp procession. Symbolic Florence Nightingale-style lamps were carried from the University to St Peter’s Church in Wolverhampton city centre. 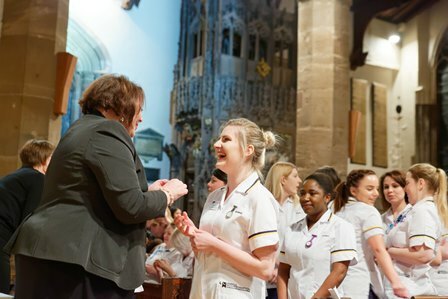 Around 70 students from Adult and Mental Health Nursing took part in the event which was an opportunity for celebration ahead of the student nurses’ graduation ceremonies in March. 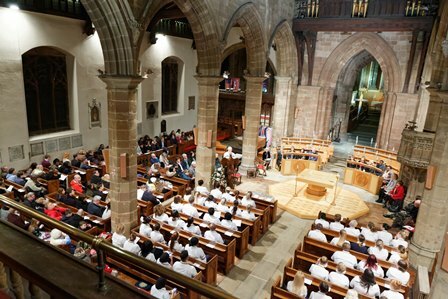 The ceremony featured experiences and stories from some of the students, including a group of Mental Health nursing students who completed a placement in Australia as part of their studies. There were readings and songs, and an enamel University badge was presented to all students at the event on Thursday, 18 January 2018. Family and friends also attended the occasion, which is now a biannual event. Senior Lecturer in Adult Nursing, Sally-Ann McConville, said: "It was a fantastic evening of celebration for our newly qualified student nurses and their families and friends. They are the nurses of the future and I wish each of them a very happy and successful career." This was the sixth time the event has been held by the University.